We were up at 4am for the long drive to Stirling on the first day of our holiday. Despite 3 stops we were banging on the door to the hotel just after midday. The drive was uneventful despite the dire warnings of doom on the motorway signs all the way from Birmingham – “Snow Forecast!”. Yes snow was forecast, but not along the motorways where we were. OK I can accept that these information signs can be useful, but their use to drivers here in the UK is laughable, and my rants about their inaccuracy is a common occurrence in our house. Anyway we’re on holiday, and today is our 27th wedding anniversary. After a quick lunch we commenced on charging around Stirling. The light was poor so I’m afraid the photos are a bit dire. Stirling has been the centre of many battles, perhaps the most famous one that reverberates through Scottish history is that of Bannockburn. In 1314 the Scots led by Robert the Bruce was besieging the English holed up in Stirling Castle. The Scots attacked and routed a much larger relieving force led by Edward I. This allowed Robert the Bruce to consolidate his power in Scotland thereafter. 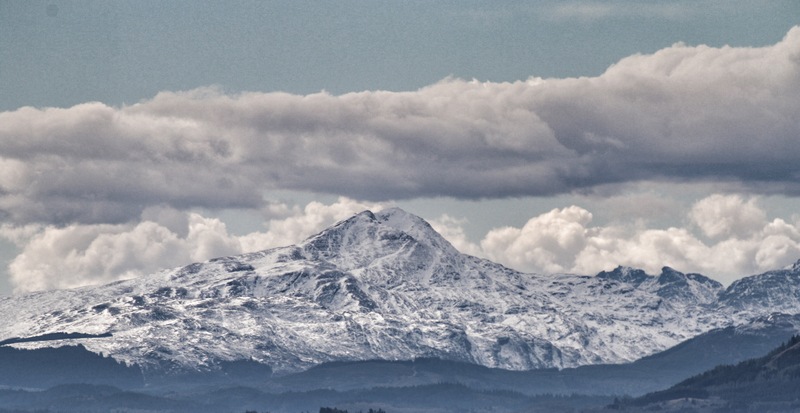 Stirling Castle stands proud atop a steep cliff of quarter-dolerite, dominating the low, wide valley below. There has probably been some sort of fortification here for thousands of year, but the brooding structure standing today is based upon a Norman Castle much altered over the years. 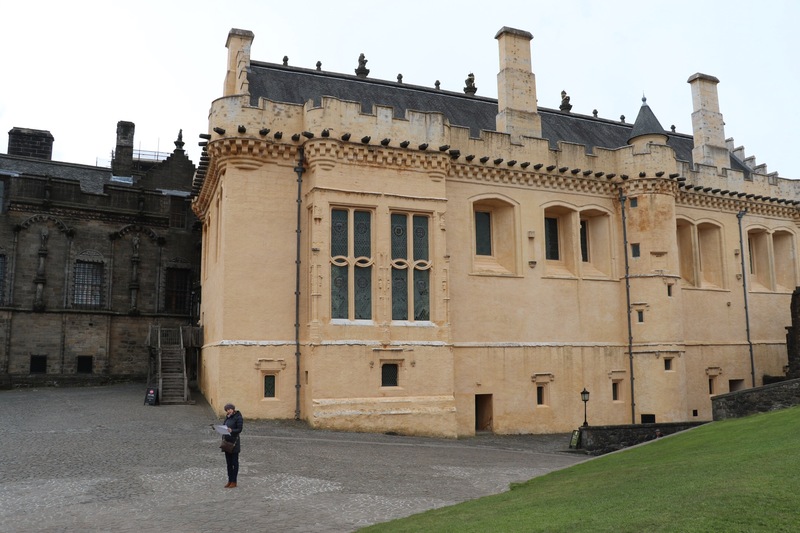 Almost all the present buildings in the castle were constructed between 1490 and 1600, when Stirling was developed as a principal royal centre by the Stewart kings James IV, James V and James VI. And this was the centre of the Renaissance Court of the Stewarts, but it is still very much a fortress at heart. Looking back at the fortress from the walls and looking over the Powder Magazines. 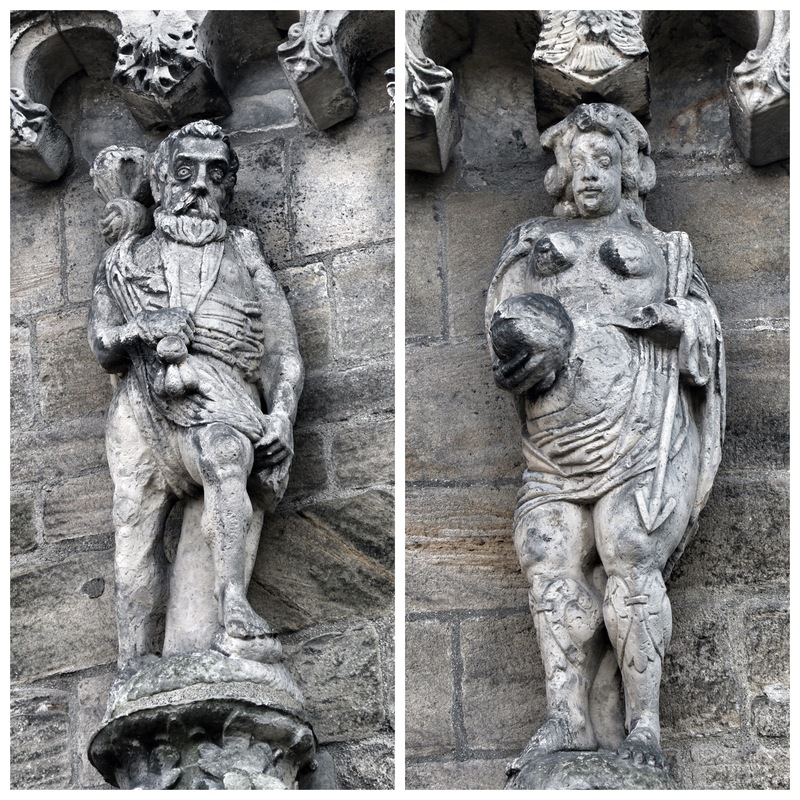 A couple of self-portraits in stone. I’m sure weve’ve never been here befre but the likeness is uncanny! 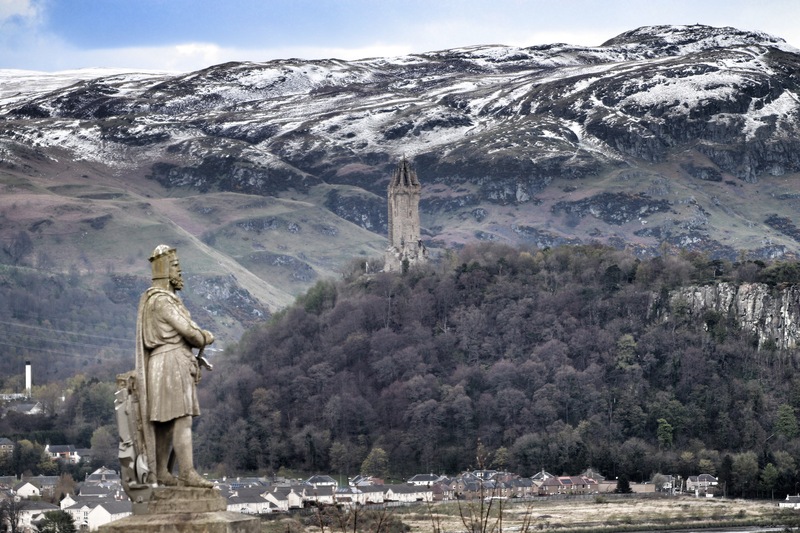 Looking towards the Wallace Monument with Robert the Bruce in the foreground. I felt like I was there. 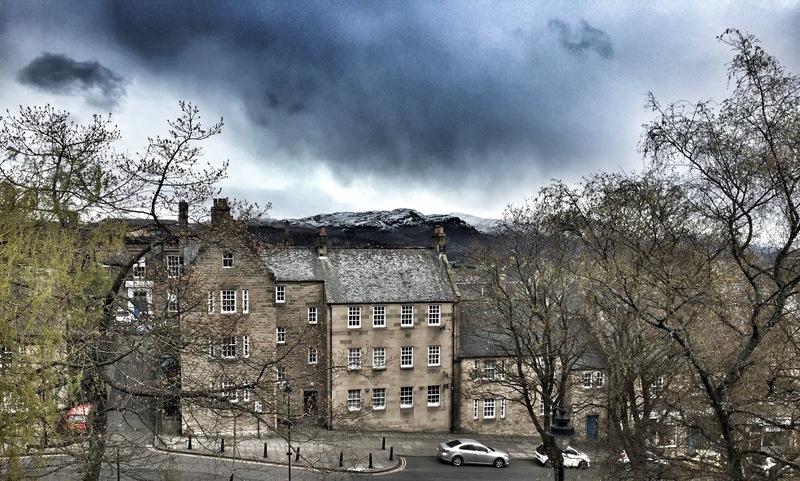 Love the snow on the tops, and the brooding skies. Ah, the memories! Thanks Annie. We’ve driven past a few times, but decided to stop the night this time. I’ve never stayed there but visited several times. Love the place! Photos definitely not dire, you do brooding clouds like no other, hope . Karen was happy with you spending all that time on your blog on your anniversary!